Are you concerned about your commercial buildings air quality and need a professional air duct cleaning service for commercial, industrial, and institutional HVAC systems, air ducts, air conditioning ductwork, and heating ventilation systems in Port Huron, MI? SANI-VAC Service has a highly trained staff that has provided commercial air duct cleaning services in Port Huron, MI for over 37 years. Our staff has been trained to use the latest equipment and chemicals to properly clean your air duct system. 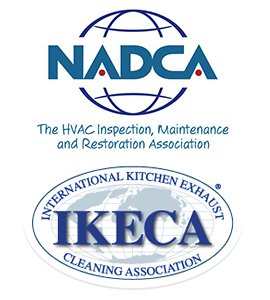 We can quickly evaluate the areas of your HVAC system that require air duct cleaning and sanitizing with remotely operated inspection equipment. You can easily review the condition of your air duct network with the digital photographs our commercial air duct inspection system will record for your convenience. Would you like to confirm that you are not facilitating the spread of allergies or illness through your furnace, heating system, air conditioning, HVAC system, or commercial air duct ventilation system in your Port Huron, MI commercial, industrial, or institutional building? We offer complete HVAC and commercial air duct cleaning and sanitizing services for commercial, industrial, and institutional buildings in Port Huron, MI. SANI-VAC Service can use digital equipment to inspect your commercial air ducts in order to direct you to the most efficient and beneficial plan for air duct cleaning and sanitizing your HVAC system may require. 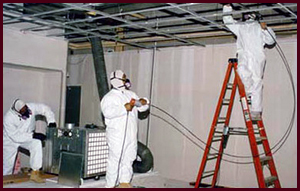 We employ EPA registered fogging agents to kill dangerous mold and bacteria and a myriad of other equipment and procedures to expertly clean your commercial air ducts. 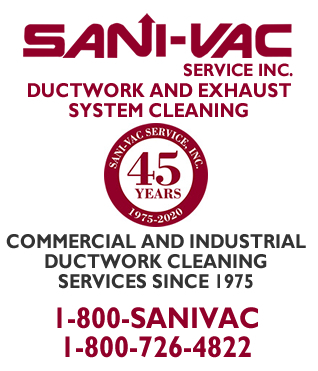 SANI-VAC Service has provided Port Huron, MI with commercial air duct cleaning services for over 37 years. We have cleaned many commercial customers air duct systems including Hospitals, Schools, Universities, Condos, Apartments, Restaurants, Retail Stores, Government Buildings, Manufacturing and Industrial Sites, Factories, and High Rise Buildings. Clean and odor free air is essential for any working environment, so we keep our HVAC, air duct, heating, and cooling system cleaning and sanitizing services for commercial, industrial, and institutional buildings professional and efficient. The occurrence of bacteria, mold growth, and odors can be greatly reduced in your commercial air duct system with a regular air duct inspection and maintenance plan. Call us today to if you have any questions regarding the benefits of air duct cleaning for your commercial building in Port Huron, MI. To schedule an inspection or speak with one of our technicians call us at (800) 726-4822.